Colour has always been a core part of our philosophy. The majority of our radiators are available from stock in at least 2-3 finishes, which we believe will complement most interiors. However there are a wide range of other possibilities available to order. From seductively outrageous finishes to discreetly subtle shades, we have a colour to suit your style. We have selected a range of over 50 colours and finishes which we believe offer our customers an optimum variety and choice. These include standard colours and a selection of special finishes such as textured and metallic options. As we source our radiators from different manufacturers it is not possible to offer every product in every finish – please click on the radiator ranges below to see what colours and finishes are available with which radiator. Photos of popular choices can be found in our Colour Inspiration section above. You can choose up to three finishes from our range. Samples should arrive within 2-3 working days. Due to limited stock please contact marketing directly for a sample. With over 50 colours in our range it can be difficult to decide which finish to choose. So to help you with the decision we have compiled a selection of popular options from our range. Please be aware that, as we source our radiators from different manufacturers, it is not possible to offer every product in every finish – the product customiser pages will indicate which colour options are available with each range. In addition to our colour range, we can also arrange for stocked models to be painted in international colour ranges such as RAL or NCS colours. With over 2000 colour options, it is possible to find a close match to many popular UK paint brands. 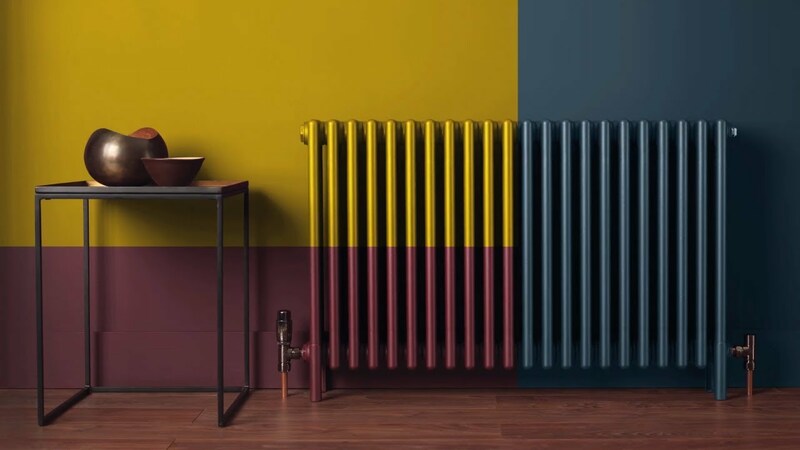 And when only a precise shade will do, we also offer a unique colour matching service so that your radiator can be the perfect partner to anything from your kitchen cabinets to your must-have wallpaper. Please contact our sales team for further details.